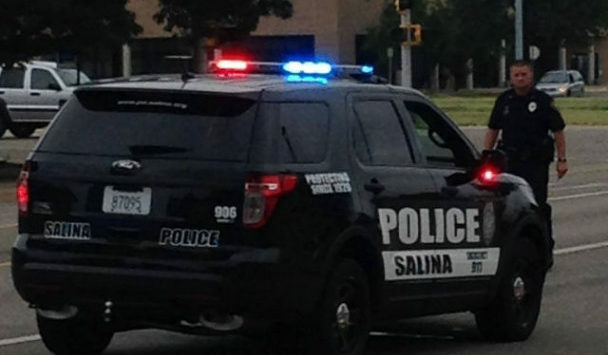 A two vehicle crash sends a Salina woman to the hospital on Wednesday. According to Police Captain Paul Forrester, 55-year-old Joseph Rubino was cited for failure to stop after his 2006 GMC Envoy smashed into the driver’s side door of a 2007 Ford Explorer driven by 53-year-old Margaret Gerhardt. Police say Rubino was eastbound on Republic at about 2:30pm Wednesday and continued onto Ohio Street striking Gerhardt’s northbound Ford. Gerhardt was transported from the scene by EMS to Salina Regional Health Center to be treated for pain in her neck and left arm. Rubino was not injured in the crash. Both drivers were wearing seat belts.